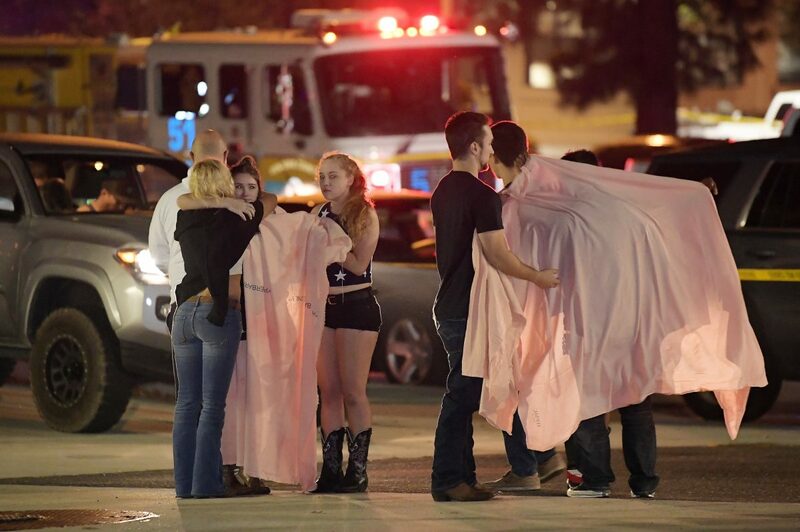 A hooded gunman wearing all black opened fire at a country dance bar holding a weekly “college night” in Thousand Oaks, using a handgun and a smoke device to kill 12 people and sending hundreds fleeing, authorities said Thursday. In a news conference about 7 a.m., Ventura County Sheriff Geoff Dean identified the alleged shooter as Ian David Long, 28, who lived in the area, and he said Long was armed with a single Glock handgun that had an “extended magazine” that would allow it to hold more than the standard number of 10 bullets that a magazine would hold. Long, a U.S. Marine Corps veteran, is believed to have killed himself, Dean said, adding that a motive for the crime was not known. Law enforcement officials from several agencies, including the FBI, were going through the house in the Ventura County community of Newbury Park, where Long lived with his mother. Long Beach police said on Twitter this morning that the department will step up patrols of local entertainment districts in the wake of the shooting. We are deeply saddened by reports of the tragic shooting in Ventura. Our thoughts & prayers go out to the victims and their families. @LBPD will maintain an increased presence & dedicated patrols in our entertainment districts and will continue to monitor events as they unfold.